Want to take an early trip Into the Woods? Yahoo! Movies is hosting an exclusive Q&A with the film's stars and you can watch it live right here in The Mouse Castle. Scheduled to appear are Meryl Streep, Emily Blunt, James Corden, Anna Kendrick, Chris Pine, Tracey Ullman, Christine Baranski, director Rob Marshall, and screenwriter James Lapine. 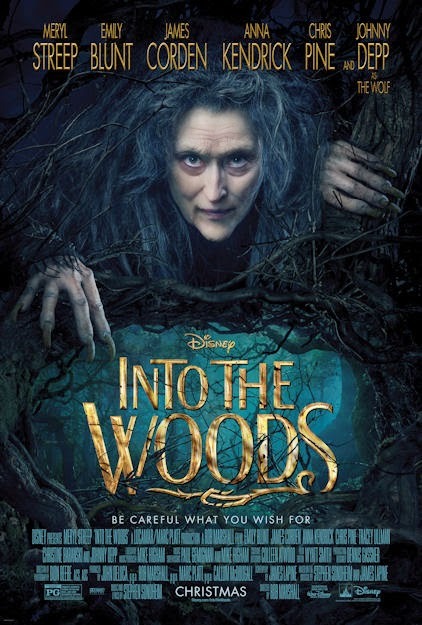 The event starts today at 6:30 p.m. Pacific Time and will include a first-look at a new Into the Woods featurette. So, why don't you stay with me and find out more about Disney's upcoming film based on the award-winning Stephen Sondheim musical? It opens in U.S. theaters on Christmas Day.